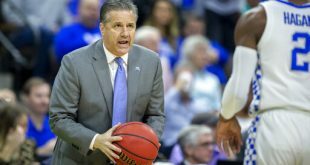 John Calipari went on the first four-game losing streak of his Kentucky tenure in February. That now feels like distant history, as he’s back in familiar territory. 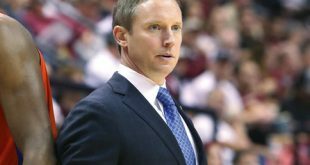 Kentucky stomped the upset-minded Buffalo Bulls 95-75 on Saturday to advance to their sixth Sweet 16 in Calipari’s eight seasons with the team. They shot 56% from the floor while being led by Shai Gilgeous-Alexander who scored 27 points on 10-12 shooting. He also added six rebounds and six assists. The Wildcats never trailed after Buffalo scored the games opening basket. Buffalo started the game 4 of 16 from the field, as Kentucky lead comfortably for most of the half. UK’s 51 first-half points were the third most all season, on the way to their third-highest scoring total for the season. The Bulls, who upset fourth-seeded Arizona in the previous round, cut the lead to four with around 15 minutes left with a 9-0 spurt. However, Calipari prepared the Wildcats for a Bull run at half. They answered with a 7-2 run and later closed the game out 23-8. Kentucky Is On a Five-Game Winning Streak. 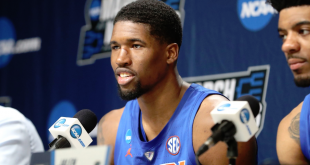 They are one of the hottest teams left in the tournament, after winning the SEC tournament and beating Davidson in their NCAA tournament opener. They credit the losing streak in February to accelerating their growth. UK is 26 and 8 in the tournament under Calipari, who is undefeated against 10 seeds and higher. They Face Kansas State For the Tenth Time in School History. Kentucky is 9-0 all-time against the Kansas State Wildcats. They last met in the second round of the 2014 NCAA Tournament when Kentucky won 56-49 on the path to the NCAA Championship game. 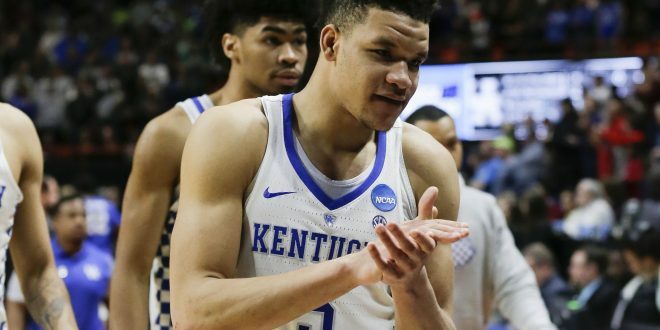 It’s going to be a different style of matchup for UK, after facing two efficient 3-point shooting teams they’ll be tested by a defense-first KSU squad who allows just 66.9 points per game. Kansas State was 3-9 against top 50 RPI schools this year. Kansas State Played Without Their Leading Scorer the Last Three Games. The key factor for KSU is the health of Dean Wade. He lead them in scoring with 16.5 points per game this season and has been out with a left foot injury. He says he’s “98% likely” to play. Tipoff is at 9:37 PM on Thursday night.